Tatami mats (畳) are woven straw mat used in traditional and modern Japanese homes. Tatami are made in individual mats of uniform size and shape, bordered by plain black cloth (#13) or Gold & Black Plum Pattern (#5). 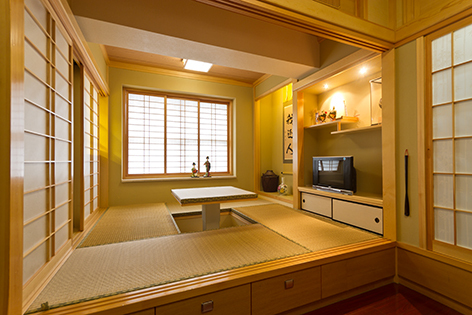 In the Japanese home, tatami mats are used as a surface for sitting, sleeping and walking. Our Tatami factory specializes in manufacturing tatami series products, all the equipments are shipped from Japan, and all the professional technicians have been trained in Japan. The floor in a traditional Japanese room is covered with tatami, mats made of hard-packed straw covered with woven rushes. In the Heian period (794-1191), tatami mats were luxury goods used by emperors, nobles, religious leaders and high-ranking officials. In those days tatami were placed only where people sat. From the Muromachi period (1338-1549) they began to be used to cover the whole floor. 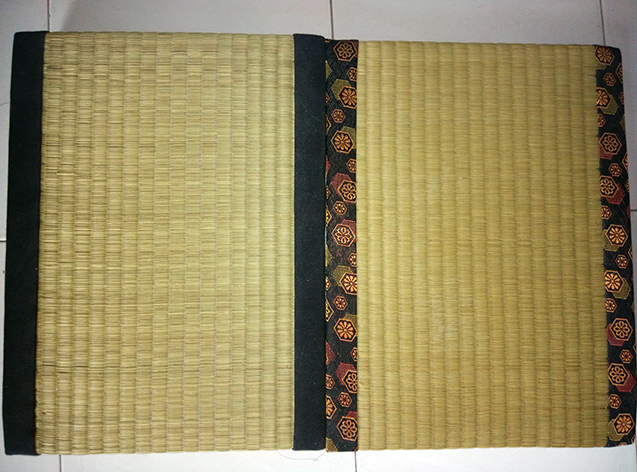 There are three different parts to tatami: the reed or rush cover, the straw core and the decorative cloth edging. In Japanese these are the tatami omote, tatami goto and the tatami beri. 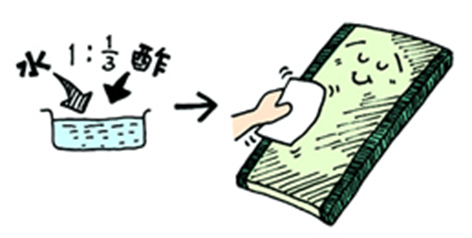 The tatami omote is made of a soft reed and each tatami needs about 4,000 to 5,000 rushes. Hemp or cotton string is then used to weave the omote together. To make the tatami goto or straw core, 40cm of straw is crushed to just 5cm. Finally, cloth is used to border the mats on the long sides. The color of these tatami beri was used to show the rank of the individual household that owned the tatami. If a pattern is woven into the tatami beri, much care is taken to make the pattern continuous where the tatami border each other. 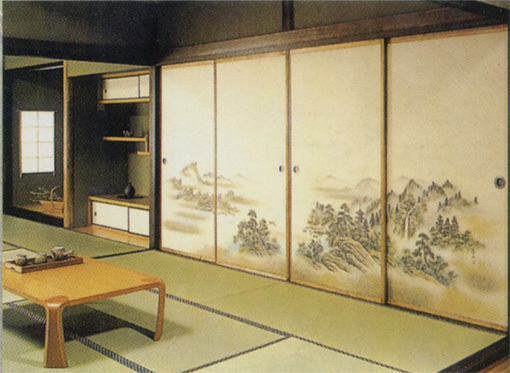 The size of a Japanese room is measured in tatami, as a traditional tatami had a more or less fixed size. A standard tatami measures about 90cm by 180 cm. 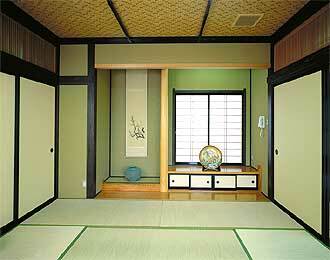 Tatami can be fitted in different ways in a room, but number and layout of tatami can bring good or bad fortune. 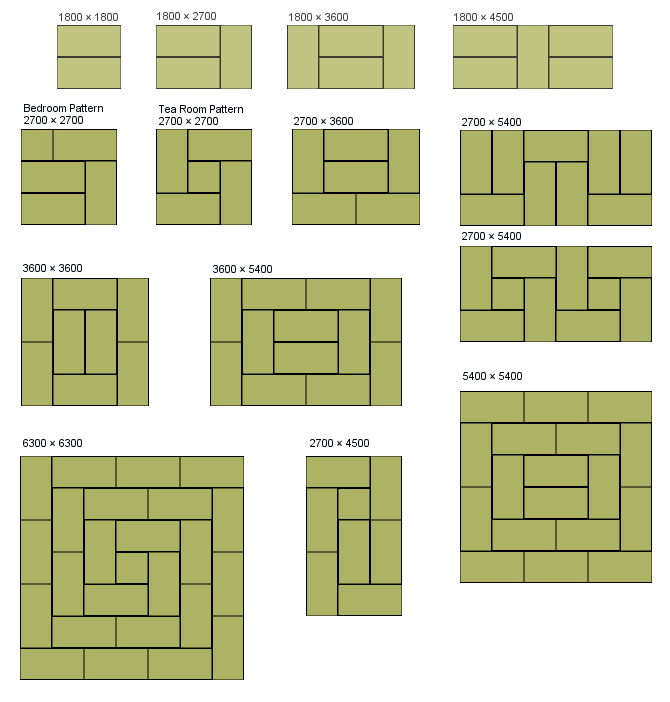 Tatami should not be laid in grid patterns, for example, as this will bring bad luck. The only time this layout can be used is during mourning. Many Japanese shops are designed to be the size of four and half tatami, as this will ensure good fortune, whatever the kind of business it is. Tatami are very effective at absorbing heat. And they absorb a lot of water from the air. If the atmosphere is dry, the water will evaporate again. Tatami are made of soft reed and according to traditional Chinese medicine this will calm the spirit, relax the body and soothe the mind. Whatever the health benefits, a room with fresh tatami smells wonderful and is very pleasant in Japanese summer. 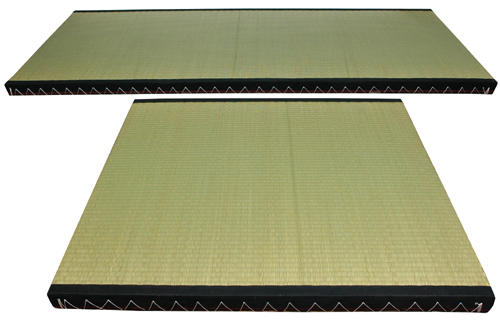 Our elaborately produced tatami is also helpful to eliminate fatigue and refresh vigor. Our company will continue contributing to Researching, developing and Providing natural, Comfortable, healthful and high quality products to everyone all over the world! An unusual decoration style which is more suitable for modern people after the prevalence of luxurious decoration style in the Occident. Present maximum space in minimum room. Provide noble, comfortable and healthful living environment with natural materials. Our tatami, a real green product, is made of natural straw and igusa, without any chemical ingredient. Make your room appear much more spacious. Prevent spur growth, backbone crook, and rheumatism. Moderate hardness, anti-distortion and good durability. The ability to adjust the humidity indoor and radiate fragrance.